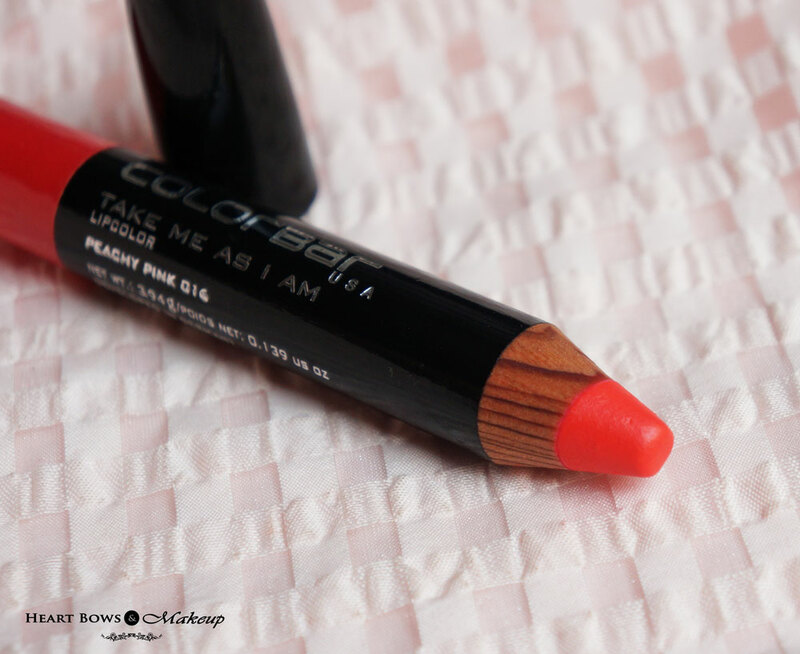 I have been using alot of Colorbar products in my makeup routine lately and I decided to review one of the new shades from their Take Me As I Am Lip Crayons called Peachy Pink. I have already swatched the new Take Me As I Am Lip Colors here along with their recently launched Darkened Summer Lipsticks Here. 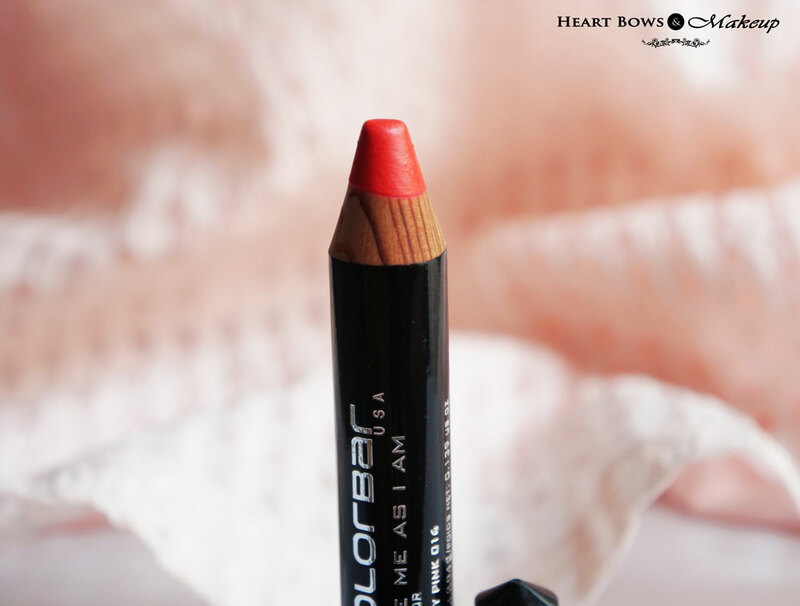 I have been quite a fan of Colorbar products for a long time so read on to know if this managed to impress me as well. 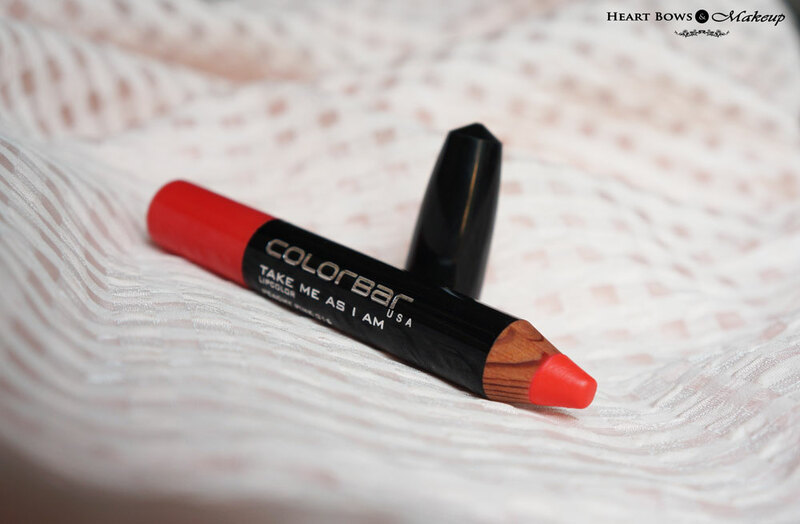 Colorbar Take Me As I Am Lip Colors are jumbo wooden lip pencils that come with a black plastic cap. It has a color coded bottom which eases identification and the shade name is clearly mentioned on it. It comes with a complimentary sharpener hence you do not need to spend additional money on it. 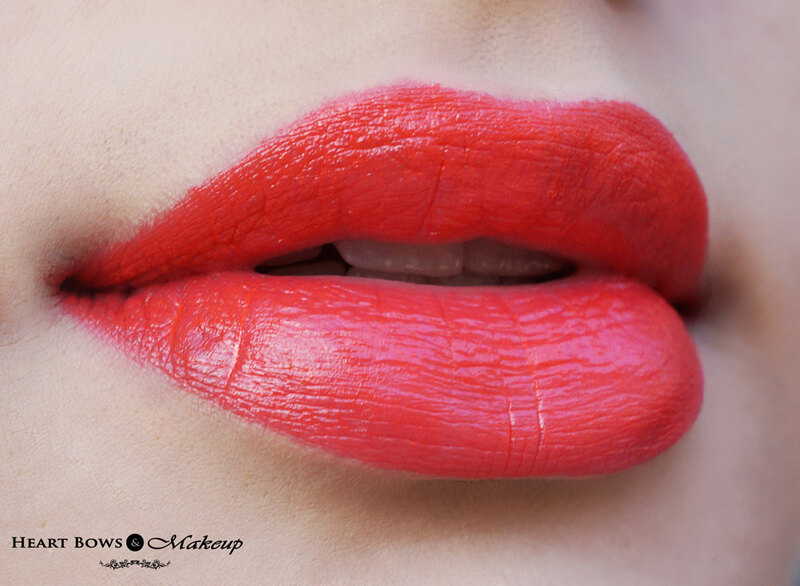 I love how I can easily line my lips as well as fill them in with this. However, since the pencil needs to be sharpened, it leads to product wastage and considering the price thats a real ouchie. 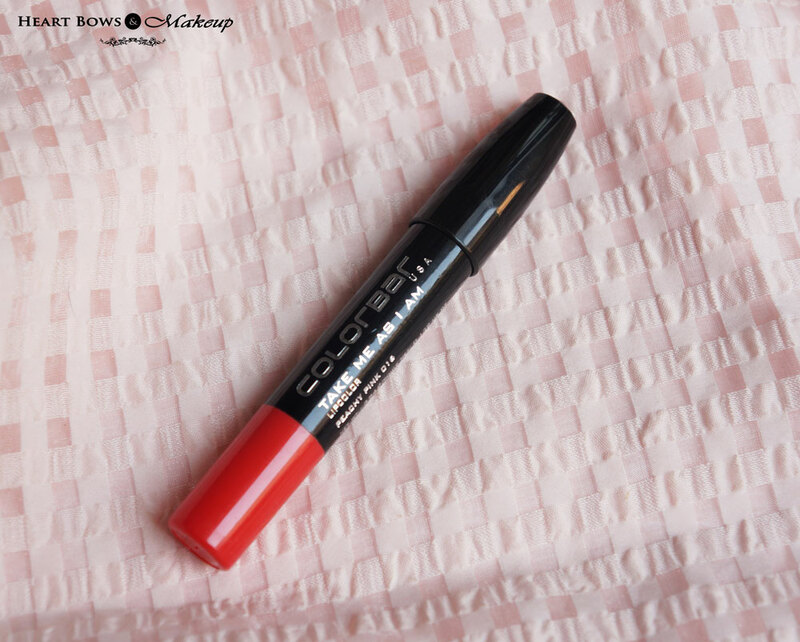 From the new shades of Colorbar Take Me As I Am Lip Pencil, I got the shade Peachy Pink which is a bright orange lip color with a red undertone. I wear it whenever I’m not in the mood to wear makeup and opt for bold lips with a bare face. It instantly brightens up my face and surely draws attention. Might not be that popular for winters but it is absolutely perfect for summers! 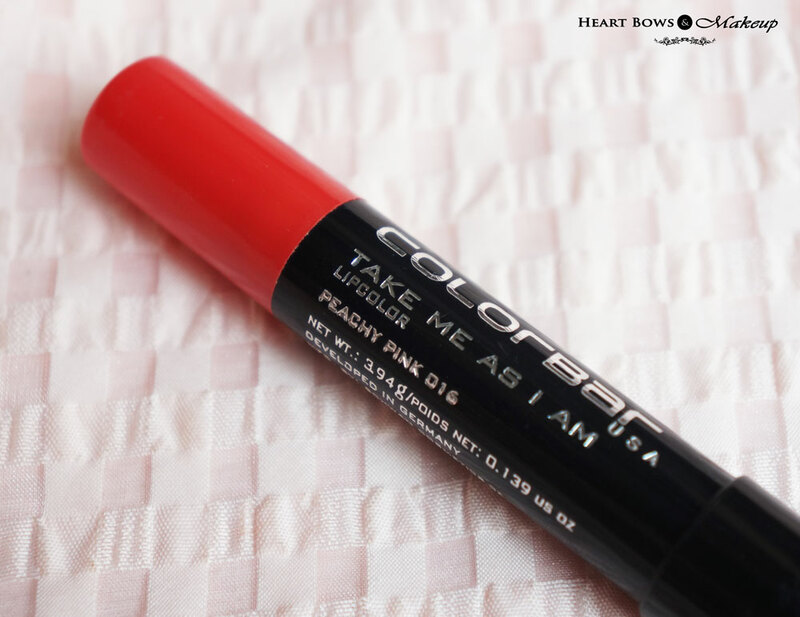 Colorbar Take Me As I Am Lip Colors have a smooth and creamy texture which does not tug or pull. It applies evenly and settles into a creamy matte finish which is quite comfortable to wear. The lip color does feel a little drying after say 5 hours but nothing too uncomfortable. The only issue is that it tends to accentuate the lip lines hence prior scrubbing is required. 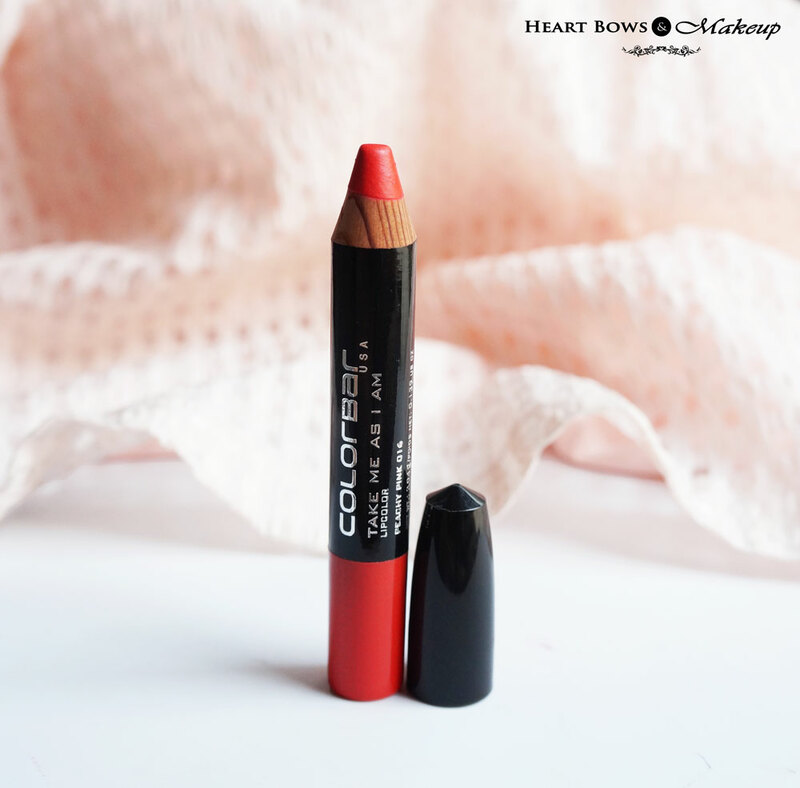 Colorbar Peachy Pink Lip Pencil is highly pigmented and a single swipe gives an amazing color pay off. 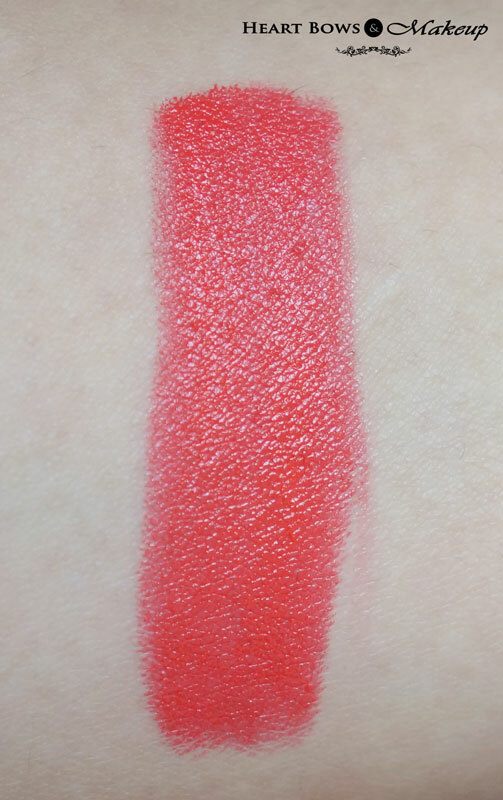 This is one of the best things about the range as all the lip colors are extremely pigmented, even the lighter ones and provide an opaque coverage. 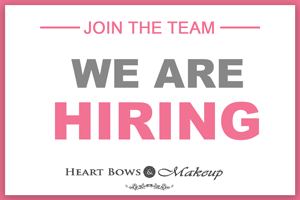 Being highly pigmented with a matte finish, the Colorbar Take Me As I Am Lip Colors are very long lasting. Peachy Pink in particular lasts for 6 hours at a stretch though it does get patchy incase I have a full meal. The color survives snacks and drinks and leaves a strong tint behind which needs to be removed with a makeup remover. Alright, whats with the price hike? 900 bucks for a lip pencil that needs to be sharpened? Like woah! Yes the quality is top notch and I don’t really have any complaints with it but the price hurts too much and it will be a deterrent for many. PR Sample. However, my opinion is honest and unbiased.